My daughter made a movie to convince people to save energy. What will your child do? So you are on board with going green and you try hard to get your kids involved right? But if your kids are anything like mine, you have realized that you need to make going green interesting or they, well, lose interest. Our friends at Team Energy Star have cooked up a really great way to get your kids interested in going green while, at the same time, allowing them to use their creative side and channel The Lorax to win prizes they will always remember were earned by going green to save energy. Your kids can earn prizes and recognition by just sharing their story, just like The Lorax did, about the importance of saving energy. Your kiddo can make a video, an essay, a poem or use any other creative way they like to express their commitment to going green through saving energy. After your child creates their story, they can head to the Share Your Story page and upload their submission as well as their picture wearing the Lorax Mustache. I must admit that I think Lexie enjoyed becoming the Lorax as much as making her movie! Top winners will also be featured in New York's Times Square on the LG billboard. Some of the winners may have a chance to participate in ENERGY STAR day in October with EPA Administrator Lisa P. Jackson. Why Wouldn't Your Kiddo Want to Take Part? 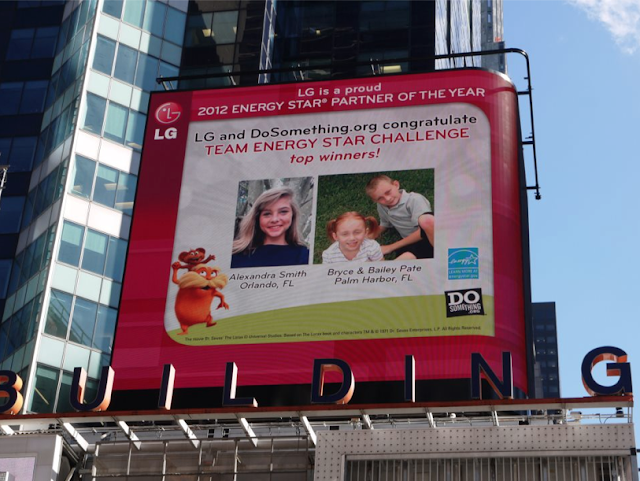 My daughter and I, and even her two sisters, really had fun taking part in the Team Energy Star Share Your Story contest. Sure it took finding some time in our hectic lives that was certainly hard to find. But it brought us all together to go green, created some fun memories with my girls and gave my Lexie one more reason to feel good about herself. What are you waiting for? Get your kids to get creative and channel The Lorax to spread the go green message. You never know, it just might be your kid's face you see smiling back at you in Times Square...Lorax mustache and all. 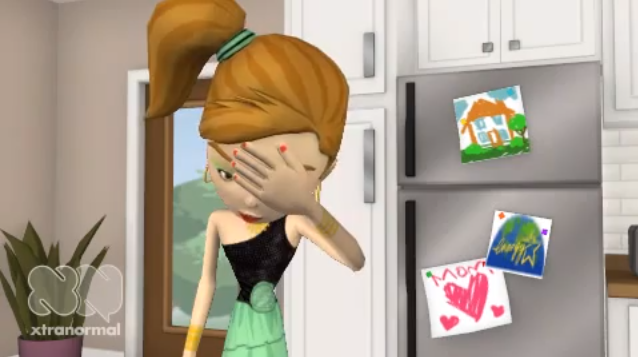 Check out the Big Green Purse Team Energy Star Blog Carnival with more ideas from kids on how to save energy like the Lorax!